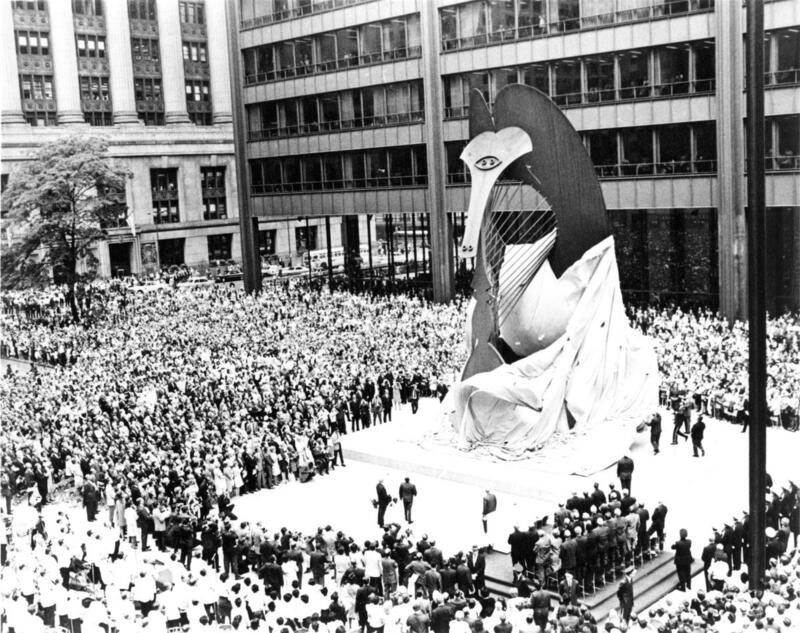 Celebrate the 50th anniversary of the Chicago Picasso at Everyone’s Picasso – a restaging event of the 1967 unveiling at Daley Plaza on Tuesday, August 8, at noon. Originally met with mixed reviews by the public, the Picasso has become a Chicago icon attracting visitors from around the world. The 50th anniversary and restaging will welcome Chicagoans and visitors alike, and include both attendees present at the original 1976 unveiling, as well as engage a new generation of young people with the artwork. The 50th anniversary restaging was conceived by artist and historian Paul Durica, and will include participation from contemporary arts leaders and artists including Chicago Department of Cultural Affairs and Special Events (DCASE) Commissioner Mark Kelly; Chicago artists and performers Orbert Davis, Tatsu Aoki, Avery R. Young and Edra Soto. The program also includes youth performances by the Chicago Children’s Choir and the After School Matters Orchestra. Additionally, YouMedia teens will interview attendees while in character as the legendary Studs Terkel. The Chicago Picasso is considered to be artist Pablo Picasso’s first large-scale civic sculpture in America. The world-renowned sculpture stands 50 feet tall on a base of granite and is constructed of the same Cor-Ten steel as the building behind it. In the 1960s, at the request of William Hartmann, Senior Partner at Skidmore, Owings and Merrill (SOM), Picasso designed the monumental artwork to relate to the Civic Center on what is known today as Daley Plaza. While the Picasso attracted mixed reviews when it was unveiled on August 15, 1967, it has since become an enduring influence on Chicago’s public art. It has been featured in popular films like The Blues Brothers, The Fugitive, and Ferris Bueller’s Day Off. Now a beloved symbol of Chicago, the Picasso is central to hundreds of events in Daley Plaza, including creative arts performances and farmers markets.